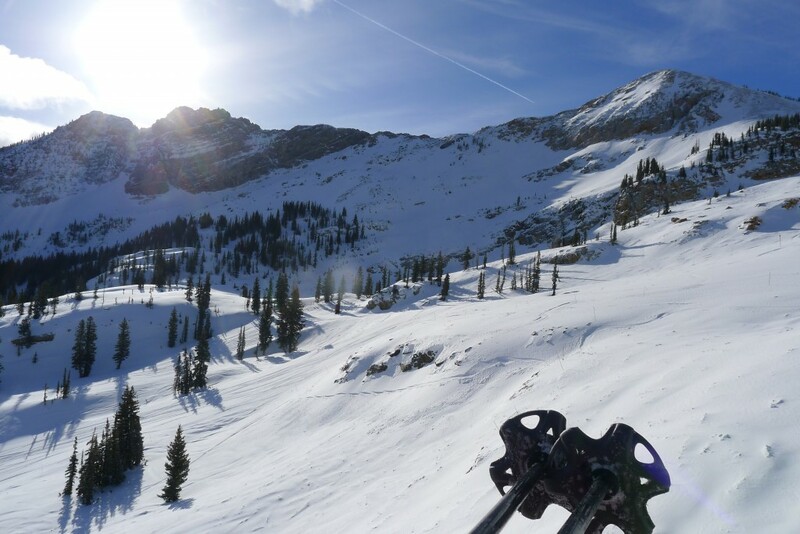 Alta is a mecca for those seeking out powder and steeps. Averaging 536″ of snow a year, this is the snowiest resort in the Rockies. It is also one of the oldest resorts in the country, having started in 1939. These factors combine to make it a haven for retro ski culture, pro skiers, and hard-core locals and visitors. Alta is a very unique resort located at the end of Little Cottonwood Canyon above Salt Lake City. Snowbird is right next door and they are connected at the top, although you need a special “AltaBird” ticket to be able to ski between them. It took us more than 10-years of ski trips to Utah before we skied it together. 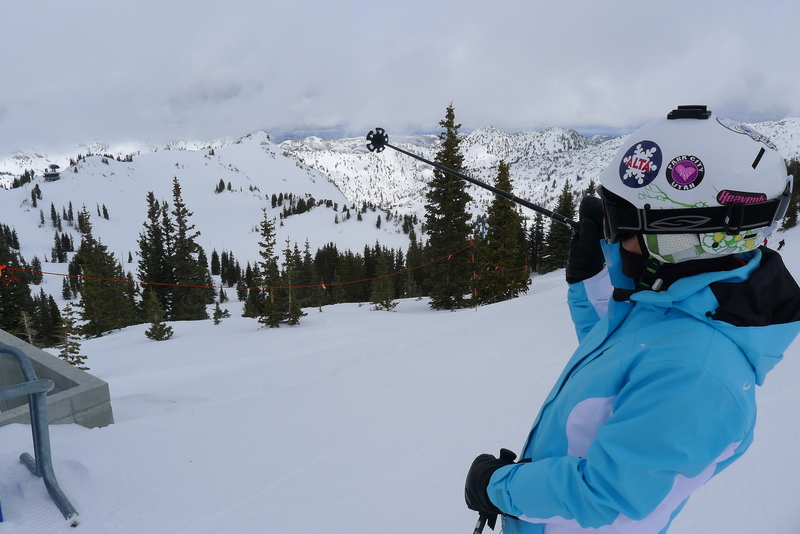 If you are going to Alta, it’s best if you can ski the steep stuff and for a variety of reasons the stars never aligned for AiRung before this year. I had skied it 3 times previously, so I have a nice wide set of experiences to draw from for this review. Out of 4 or 5 visits, I can’t remember a single time where it wasn’t either snowing or it had snowed the night before. 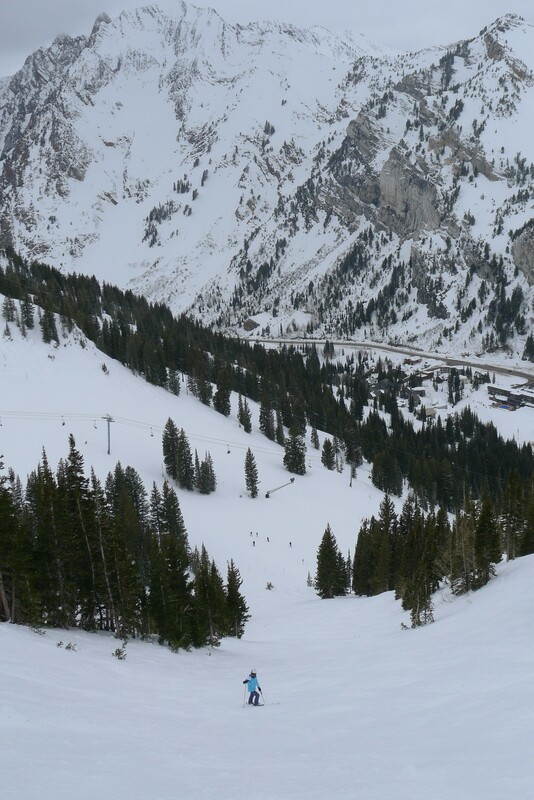 This is great luck because foremost Alta is about skiing powder and soft snow. I can remember skiing Greeley Bowl with powder billowing over my head and lap after lap on Catherine’s where I skied mostly untracked lines. The 2015 visit was probably the least snowy, in that it had only snowed about 4″ the night before and the total snowfall for the season was less than 200″, which is in the record-low territory for that time of year. 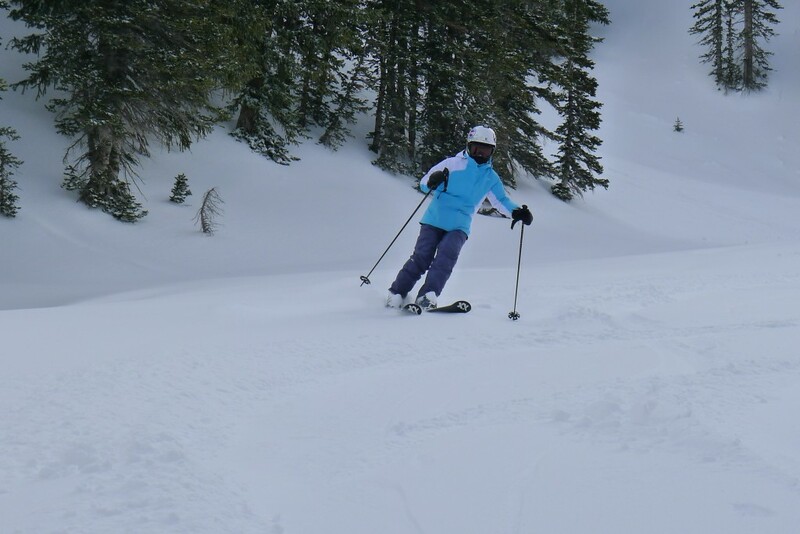 Still, we managed to find some decent powder stash’s in the Catherine’s area and trees below Spiney Chutes/Supreme. I’m always cautious skiing at Alta, because they do not have any trail markings other than the 3 circle, square, diamond ones. What would be marked double or triple black diamond runs at any other resort get a single black rating. That means you may be in for the scare of your life, or a cruiser down a nicely groomed steeper pitch. Many of the runs are impossible to see from above, and require traverses that take you so far away from the point of no return that you must ski down. 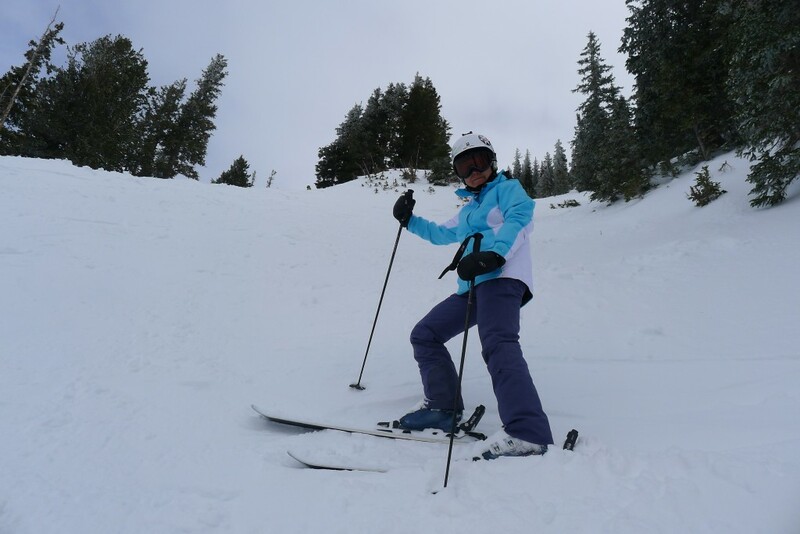 Because of that, we’ve only skied a small selection of the very steep chutes and bowls available there. It would be great to have a guide someday to safely ski some of the things we missed. This is the kind of place you could ski every day for a whole season and still not find all the sweet spots. Alta has groomers and mellower terrain too. 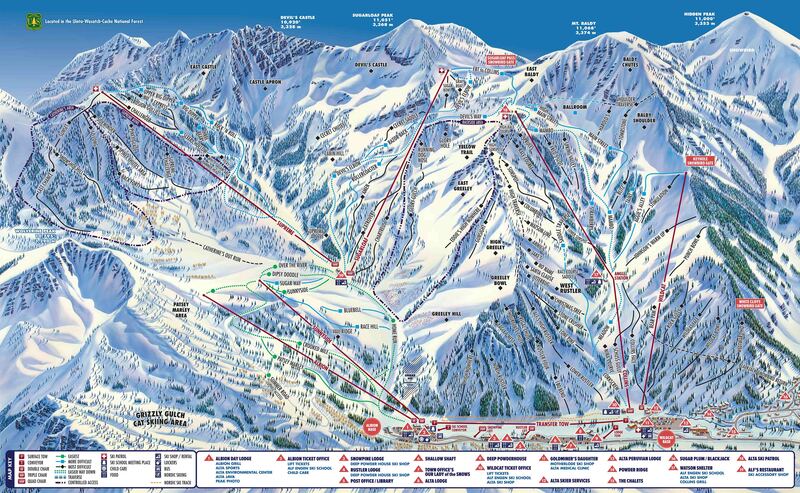 These runs tend to be somewhat crowded because this is where the average skiers will be found. 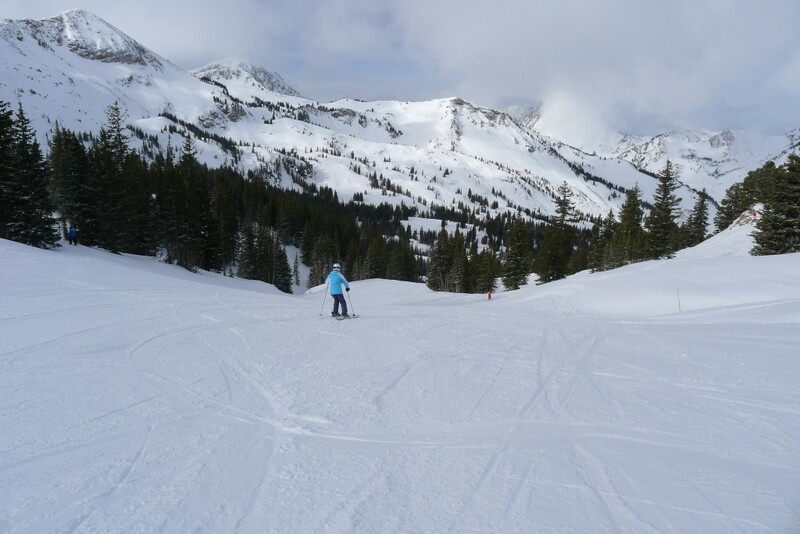 The 2 high-speed quads at Alta: Collins and Sugarloaf, serve most of that terrain. Collins is the best with some steeper groomed stuff. Another choice for steep groomers is the Supreme lift on the eastern side of the resort. Since that isn’t a high-speed quad it seems to get less traffic. 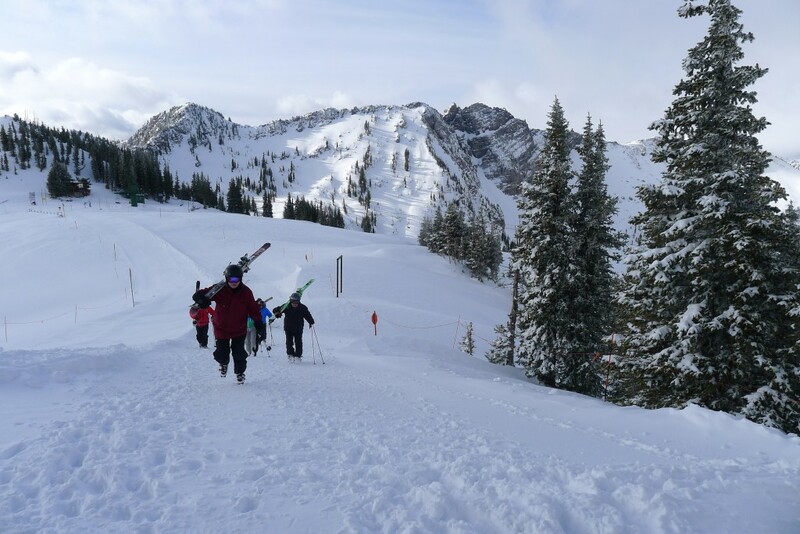 One of the most memorable experiences at Alta is taking the “High Traverse” out a very long ridge, which terminates at the signature run at Alta: High Rustler. Back in the day when my family first skied there in the 70’s, the test of a great skier was if you skied that run. The lodges and food at Alta are average at best. The one notable thing was the Espresso bar in the Watson Shelter building mid-mountain on the Collins side. I wish all ski areas had one of those. “Alta is for skiers only”, which is a brand they are proud of. This refers not only to the level of challenge there, but also to the fact that it is one of 3 ski resorts in North America that do not allow snowboarders. Mad River Glen and Deer Valley are the other 2. Ironically, we find that when a resort does not allow snowboarders this ends up creating some annoyances like skiers using the entire run width to carve huge turns. We also noticed that the average age of people seemed to be way off the top of the charts, and there were fewer families. We feel like snowboarders should be allowed here. Why not? We are definitely planning to go back to Alta — probably many times.